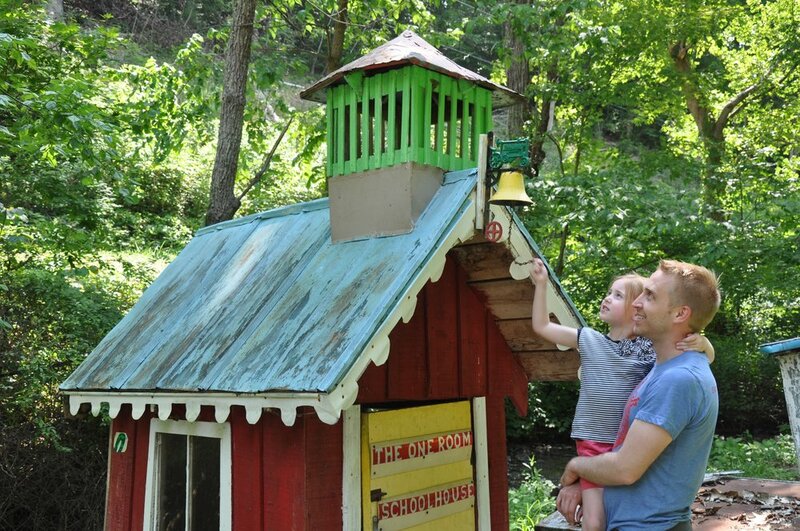 For the last twenty plus years, an old coal miner has been very busy building a bizarre tiny railroad town, single handedly in his front yard and entirely out of junk. It's that kind of lede that gets me. Of course I wanted to go. We regularly check Atlas Obscura when we travel (see Natural Rock Waterfall) and now strike the balance of things Loie could enjoy, learn from or let out some energy on trips. Gone are the days of her in a stroller happy to eat puffs. We're not yet at the days where we can take her anywhere. We have new opportunities the older she gets and enjoy them. We have limits as she's still young and are ok working within them. It's a long drive between DC and Asheville and a stop off seemed smart. Roanoke was a potential stop but I wasn't sure I was up for answering the questions my limited knowledge of the "lost colony" were bound to provoke. We needed something else. Something kid-friendlier that wasnt' a McDonald's playland. A model railroad town seemed right within our weird wheelhouse. My thing with tiny trains is well established. Stoney Point did not disappoint. There's a working train car. V. fun. Built from scraps with a Chevy engine powering it. But there's also these delightful buildings and vignettes. Some fit right in with the "this is a pretend small town" thing. A less discussed perk of kid travel is the need to pee frequently. Yes, I mean it. And I mean both her and me. It quite literally open doors for you. We got to enter Sam's home and, as such, strike up an extensive conversation with him. Much of it was a tad hard to understand as he's in his mid-80s and . But he read us parts of a short story he wrote (in all caps with no end punctuation), told us about the press he's gotten and dotted on Lo. As we drove past Confederate flags on our way in, I kept the conversation light and breezy with the impending election. You know those experiences that leave you lighter and heavier? This was most certainly one. Talking to someone so deep in their passion by the church they preached at and had built with their own hands (also on the property, not part of the train) was something else. But there was something else. A deep melancholy about the place. I tried not to stare at their dog's oddly drooping belly. I tried not to worry about tetanus. I spent a lot of time thinking of what it is like to be making something while watching it decay. Is anyone's legacy legit? What are we making and leaving behind that we think is full of meaning but is maybe just something someone will tell a "can you believe this?" kinda story about someday. 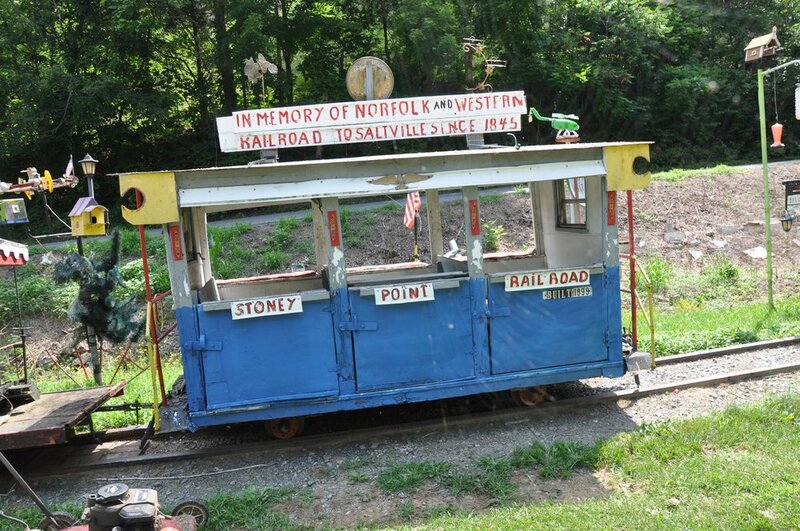 Read more about Stoney Point Railroad on Atlas Obscura.